A series of articles published in the journals “Monthly Notices of the Royal Astronomical Society” and “The Astrophysical Journal Letters” or on the arXiv website describe various aspects of a study on the consequences of the merger of the Milky Way and a dwarf galaxy nicknamed Sausage. A team of astronomers used data collected by ESA’s Gaia space probe to reconstruct that event from 8-10 billion years ago that profoundly influenced the Milky Way. 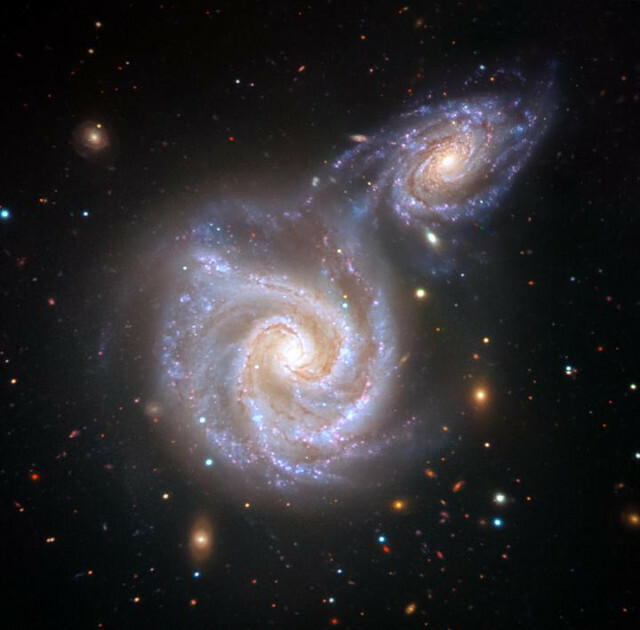 Galaxy mergers are normal events in the universe but when a dwarf galaxy collides with a much larger galaxy it eventually gets absorbed. Despite the differences in size and overall mass, there may also be significant consequences for the larger galaxy and according to the authors of this study that’s what happened when the Milky Way absorbed the dwarf galaxy Sausage. The Gaia space probe is mapping the stars of the Milky Way along with their motions and on April 25, 2018 ESA published the second map obtained thanks to that work. It’s precisely by analyzing those data that the authors of this research believe they found traces of the merger between the Milky Way and the dwarf galaxy Sausage. The name is due to the shape caused by the gravitational interaction of the two galaxies during that merger. That event tore apart the dwarf galaxy spreading its stars near the center of the Milky Way. According to the researchers, at least eight globular clusters present today in our galaxy are some of the remains of the dwarf galaxy Sausage. This means that it was quite massive, with a total mass estimated around ten billion times the Sun’s. For this reason, that merger had an important influence on the Milky Way not only by adding billions of new stars but also by remodeling it. In fact, from its inner nucleus, called in jargon the bulge, to the external halo that surrounds the galaxy there were various changes. Probably the Milky Way’s disk was inflated if not fragmented and then regrew. The various characteristics that according to the researchers are the consequences of that merger were reproduced with a good accuracy through computer simulations. This also confirms that the models regarding these events have now become really sophisticated and precise. The Milky Way’s history is also made of these mergers but it’s possible that the one with the dwarf galaxy Sausage was the most important so far. In a few billion years, however, the merger with the Andromeda galaxy will begin and in that case the consequences will be much deeper and longer lasting, leading to the birth of a new great galaxy.